How are you doing this fabulous Monday? I am coming off of a huge cooking high. But I am getting back to my normal self, or as normal as I can be, and tons of ideas have started popping into my head. Those creative juices are flowing like crazy! 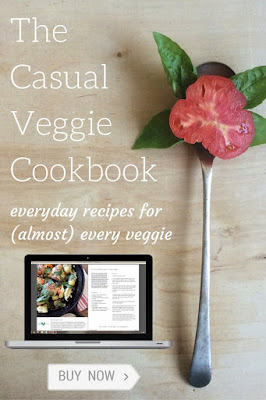 I have even been coming up with recipes in my sleep again! I woke up and told Kevin that we needed to grill, like NOW. He just rolled his eyes and went back to sleep. But, seeing as how it was raining......and dark......I guess waiting was the right thing to do. However, as soon as the sun came out I was in the garden picking tomatoes, and getting that grill fired up. 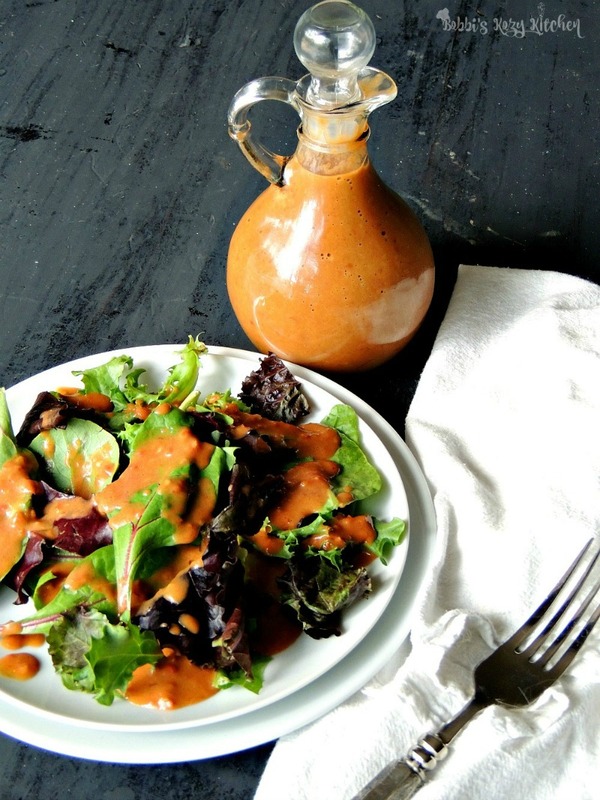 We ended up cooking a stuffed pork tenderloin (recipe coming soon), Korean BBQ ribs (again...soon), shrimp, and chicken, but the first order of business was the tomatoes for this amazing vinaigrette. 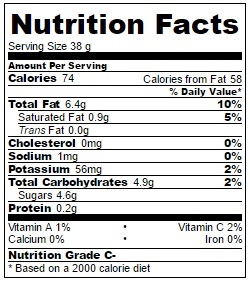 Now, those of you that know me well know that tomatoes used to be on my no way Jose list. Oh I loved them in things, like spaghetti sauce, salsa, etc. But to just want the taste of tomato? That would be a big negative Ghost Rider! A while back I was watching Food Network and I saw someone making a tomato vinaigrette on one of those cooking competition shows. I can make it even better! I just wasn't sure how, until my nocturnal epiphany! 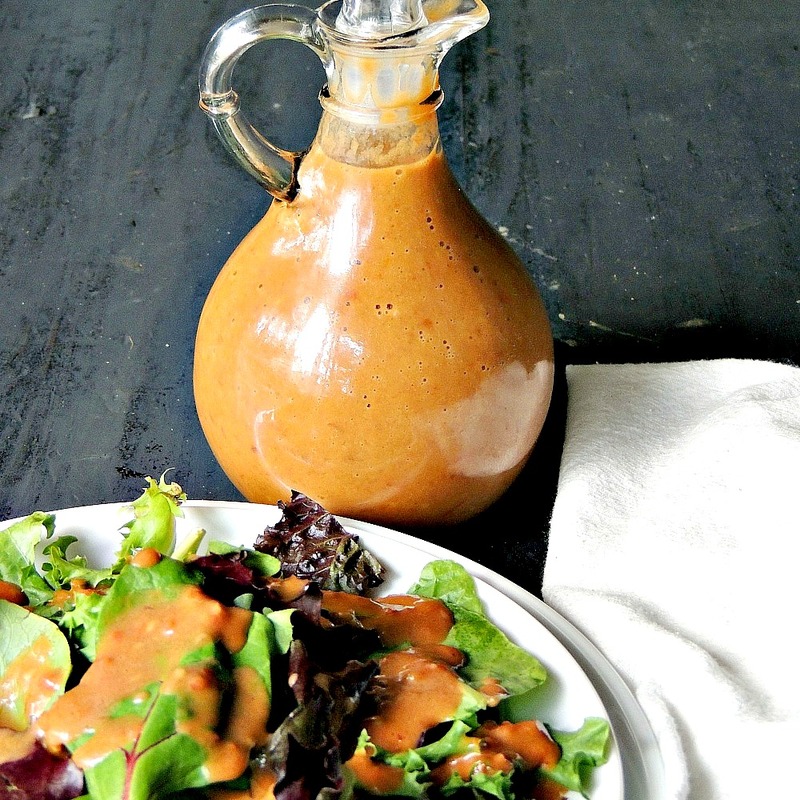 This is more than just a salad dressing people! It is smoky, tangy, sunshine, with a kiss of smoke, all smooshed together in this lovely bottle of happiness. Well, it is really how I feel. I told Kevin I could drink it with a straw. Whatevs don't rain on my dressing parade! I can't wait to give this a try with chicken? or steak? Pardon me while I go fire up my grill!! 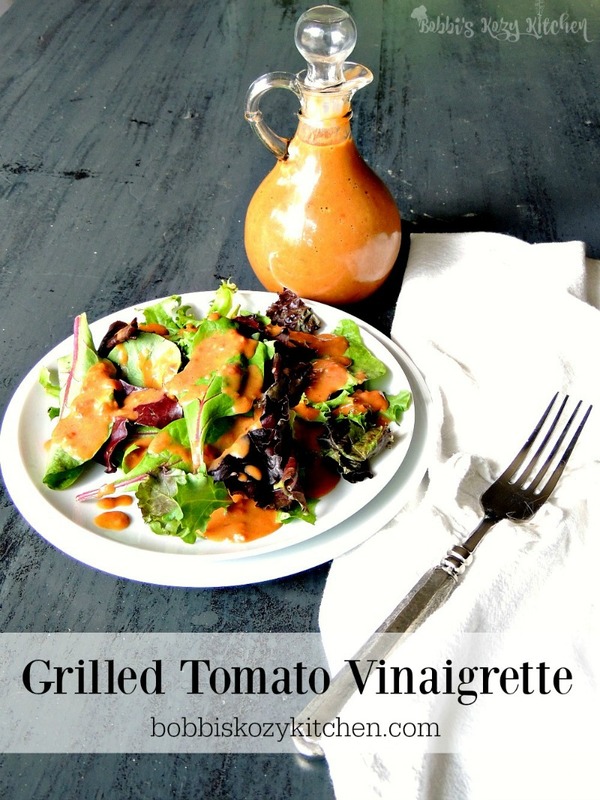 Bring that touch of smoke to this amazing vinaigrette by cooking your tomatoes on the grill. Place hot coals on one side of your grill (for a gas grill heat one side to medium high heat). Place tomatoes on a grill pan, or line a baking sheet with aluminum foil. Lightly drizzle the tomatoes with extra virgin olive oil. Place the tomatoes on the cool side of the grill, close the lid, and cook for 30 minutes, or until the tomatoes begin to burst. Store in the refrigerator in an air tight container for up to 2 weeks. Prep Time: 00 hrs. 10 mins. Cook time: 00 hrs. 30 mins. *Cooks Note - You can strain the vinaigrette through a mesh strainer if you want to remove the seeds.